With a streamlined stage name and guitar in hand, Sunjay Brayne ups his ante in the world of studio recorded music in the form of this effortlessly arranged ten track collection of songs spanning the world of folk and Americana music. Singer-guitarist Sunjay has gone down the simplistic route when naming this new album, a follow up to 2013’s live release ONE NIGHT ONLY, and each offering carves out its own niche. 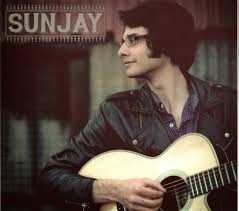 Several familiar songs ring fence the album simply titled SUNJAY but they far from diminish the excellent guitar skills and developing vocals which glow with maturity. 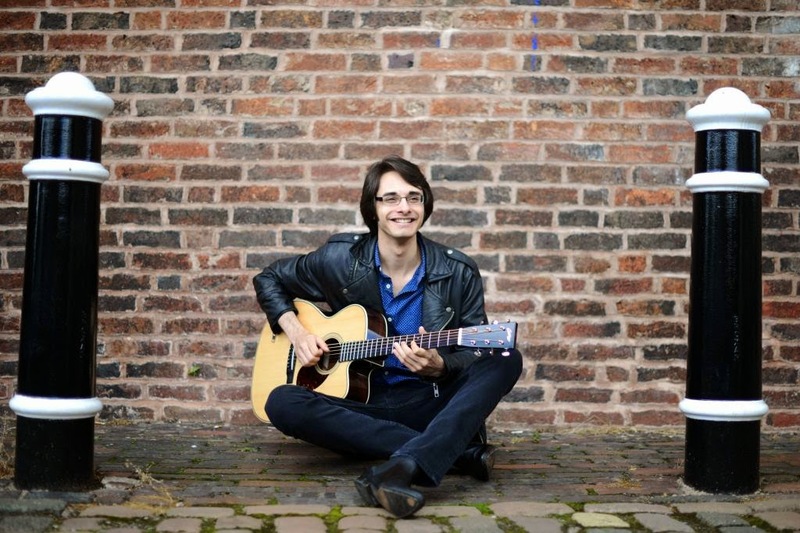 Having seen Sunjay play short sets several times in his role of Stourbridge Folk Club host, he rarely plays down his passion to explore and interpret the blues. However that particular style is toned down a touch on this album with the biggest nod to it being his version of the popular old blues number ‘Drop Down Mama’ which brings his pickin’ skills to the fore early in the album. Sunjay definitely has one eye across the ocean when it comes to song selection and there is no finer choice on the record than a superb take on John Hiatt’s cracking tune ‘Memphis in the Meantime’. Alternatively, closer to home influence and guidance is always at hand as former Bushbury Mountain Daredevil founder member and local Stourbridge publican/music organiser Eddy Morton has produced the album and provided the opening song ‘London Road’, a traditional feeling social commentary number sure to be a winner in folk clubs up and down the land. Recorded under license to and in the studio of New Mountain Music, Sunjay has collaborated with a number of artists of which the most familiar to current gig goers are likely to be Dan Walsh on banjo and Kat Gilmore on fiddle and background vocals. Both have been guests of Sunjay at his club nights and were no doubt honoured to play their part on this entertaining and gifted record. Likewise Sunjay has paid his respects to some iconic songwriters with complementary versions of the James Taylor standard ‘Close Your Eyes’ and the much covered ‘You Don’t Mess Around with Jim’. It doesn’t take too much effort to sit back and enjoy Mark Knopfler’s tale of pioneering Americans in ‘Sailing to Philadelphia’, a song interpreted with consummate ease by Sunjay. The Tom Rush penned ‘No Regrets’ taken to the upper reaches of the charts by the Walker Brothers needs little introduction and a further delve into American folk sees Sunjay deliver a stompin’ a cappella version of ‘A Folk Singer Earns Every Dime’ complete with a couple of subtle twenty first century references. Sunjay explores the American songbook a little further back in time with his arrangement of the traditional standard ‘Sittin’ on Top of the World’, recorded by many over the years including Doc Watson. On an album that is equally as pleasurable to explore the song origins as to enjoy Sunjay’s renditions, the educational process is completed by tracing ‘Going Down the Road’ to the pen of yet another American folk singer in Mary McCaslin. The dates Sunjay has arranged to promote this self-titled album are extensive and the opportunity to hear so many fine songs under the spell of this talented performer is one not to be missed. Grab yourself a copy of the album as well and stretch your mind into the vast vault of inspirational song; arranged, sung and presented in a faultless style.